When traveling on a China train, the food can be bought from the dining car, the food trolleys, and the platform vendors. 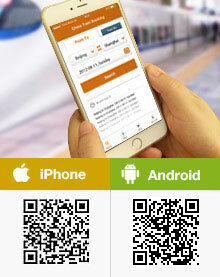 The fare of the food is not included in the train ticket and only Chinese Yuan is accepted for payment. Generally, the food price is higher than that of the outside restaurants or stores. If possible, you can bring some on your own, like hamburger, bread, fruit, or the most popular instant noodles among Chinese passengers. Food delivery service is available on some high speed trains, but one needs to read Chinese to use it. Most Chinese trains have a dining car (except some short-distance ones), which provides meals, drinks, and snacks during a trip. A dining car is often at the carriage No.9 on a normal train and carriage No.4 or 5 on a high-speed one. Dining is not included in the ticket, so you need to pay for the food. Food on board is usually Chinese style, and western food is usually not available. On some trains, Halal food is also available. Tibetan dishes can be found on the coaches to Tibet. Breakfast usually includes porridge, pickles, boiled eggs, Chinese breads, and steamed stuffed buns; sometimes, breads, tea, and coffee are also available. For lunch and dinner, you can find rice with fried vegetables, soups and noodles. Available food on high speed trains also include prepared and heated packed meals, and the prices range from CNY 15 – 45. In the dinning car of non-high-speed trains, there is a kitchen and the cooks make dishes during the trip; passengers can order the dishes on the menu, and each dish is about CNY 25. As for drinks, beers, non-alcoholic beverages, and bottled water are usually available. Popular snacks may also be purchased and include items such as sunflower seeds, peanuts, crackers, potato chips, fried rice crust and vacuum packed braised food. The seats in a dining car are limited 30 to 40, so there are railway attendants bringing trolleys through the carriages selling packed meals at meal time, which are the same rice, vegetables, and noodles as those in the dining car. At other times, they also sell drinks, snacks, magazines, and packed fruits. Apart from the food on board, passengers can also buy food from the venders at platform when the train stops at a station. Most food is simple, but sometimes you can get some really good local snacks better than the choice on board. These can be dishes such as braised duck neck, boiled corn cob, tea flavored boiled eggs, and rice noodles. Food delivery service is provided on high speed trains passing by many cities including Shanghai, Tianjin, Nanjing, Guangzhou, Xi'an, Hangzhou, Shenyang, Wuhan, Changsha, and Chengdu. However, the service is currently only available through the cell phone APP of China Railway Corporation, which only has a Chinese version. If you have a Chinese friend, you can ask him or her to make a reservation for you, which should be made one hour prior to departure. You need to pay extra CNY8/ delivery. Hopefully, the service will soon be available in English, too, so overseas passengers can have a chance to taste the distinctive local food of the cities along the way. The price is exorbitant to most passengers. On the non-high-speed trains, a simple vegetable dish starts up from CNY 25, but a same dish at an ordinary restaurant is larger in quantity and costs only about CNY 10 - 15. From some passengers’ experience, a lunch for two persons at dining car costs about CNY 100. The food is freshly-made, so tastes OK if you are lucky enough to be served by a good cook. The packed meal, however, is not good. The price ranges from CNY 15 – 45 but may be even more, while the food is not so delicious, according to most passengers. On the non-high-speed trains, the packed meal sold from the trolley is the same as the freshly-made dishes from dining car, and the price is about CNY 20 for two kinds of vegetable and one box of rice and CNY10 for one more braised chicken leg. The price may go down after meal time and could be lower as time goes on. The claimed cheapest packed food on bullet trains is CNY15, but you are always informed that the cheapest has already been sold out and only the dearer ones costing CNY 30 or CNY 45 are available. The worst thing is they often taste bad. So the point we wish to convey is that you should not expect too much from the catering arrangement on railway coaches. Most Chinese passengers, however, prefer to bring their own food and eat in their carriages. If you travel a lot in China, you must notice that most Chinese passengers take an extra plastic bag full of food. What’s inside their bags? There are instant noodle cups, fruits, bottled water (or just a bottle), and snacks mentioned above. To Chinese travelers, the meal on board is expensive and unpalatable. It is not surprising that the prices for drinks, snacks and fruits on board are twice or three times higher than usual. Boiled water is readily available for free in each carriage, so instant noodle cups are popular with most Chinese rail travelers, although it is said to be an unhealthy fast food. However, when everyone around you is eating their noodles filling the whole carriage with the same aroma, a cup of noodles is probably the best choice to satisfy your appetite. Sunflower seeds and peanuts are their favorite with the locals to kill time. 1. Only take bottled water or simply a bottle (you can get free boiled water in the carriages) if you take a short-distance trip. If your happen to travel at meal time, take some snacks and have a good meal after arriving at your destination. 2. If you are planning to have a meal at the dining car, try to go there as early as possible, because it will be very crowded at meal time. 3. Instant rice and noodles are easy and recommended as train food, if you decide to bring your own. 4. Sandwiches, bread, milk, eggs, and fruits are good choices for those who are not used to Chinese dishes. Many railway stations have fast food chain restaurants, such as KFC, McDonald, and Subway, so you can buy items there before boarding. Fresh fruits are popular as they provide both energy and water. Railway attendants pushing the trolley through carriages also sell packed fresh fruits. 5. Don’t eat too much and try to avoid the food that is hard to digest, especially during a long trip. You won't move a lot, so your digestive system is inclined to work more slowly than usual. Take hand sanitizer with you and remember to wash your hands before eating. 6. Bring a bottle that can take hot water. Some foreigners may be not used to the water in China, but boiled water is better than cold bottled water during a long trip. Printed off the "tracking email", and gave it to the ticket counter and got the ticket. I had an example of the ticket with an explanation of the codes on the ticket to follow on my phone so I could see which code meant carriage, seat, etc number. You could possibly show a link where people could see an example of the ticket. Everything was good. The booking was easy, although you can't not choose the lower berth. The tickets were waiting for us at the front desk when we arrive to the hotel. You can get to the train station between 30 or 40 minutes before as maximun to get through the security line (same as airport). Bring your own food. They give you microwave Chinese food. There is no problem with the size, number and weight of your luggage, so don't worry. How easy it was to do from overseas. The pictures so you could see what the seating and sleeping options looked like. That I could upload my passport scan directly to get tickets hold for me in advance. The trains time were unchanged from the time of booking to the departure. I was impressed with the quality of 2nd class seats. The trains and stations were very clean and comfortable. The only complaint I have is the quality of the VIP seats we had from Shanhaiguan to Shanghai. It was not quiet as the man next to me snored very loudly and I felt that the hostess didn't do anything about it. It was not worth the extra money. I found your service very reliable and speedy, and for an internet service immensely personal (normally one never gets the chance to talk to an agent personally during the transaction). The voucher system with (language guide) worked very well; I experienced no problems. Also, a friend who had booked through you but missed the train because his plain was delayed could change train at the counter. The transport system in China (as far as I can judge, and have heard from people) is excellent: very reliable, very fast, very good trains and friendly service. Your service was excellent. All train tickets were delivered to our hotel before our arrival. Your work to get the tickets and advise what was possible (ie no first class available during the holiday season) was appreciated. I can just thank you for your services. All was running smoothly as in previous years when I was using your services. I can just congratulate you on your service level and wish you to maintain this level in the future. Great service. Second year using your company. Will do next time I'm in China. I was very satisfied with the service provided and the promptness of replies to my enquiries. Thank you for helping to make my travels in China a memorable experience. Thank you. Yes, you could buy cold drink at the restaurant carriage on the train.